Fri Dec 14 01:54Fooling around with these guys on the look for picture spots around town. We'll have a nice surprise for you all coming soon! 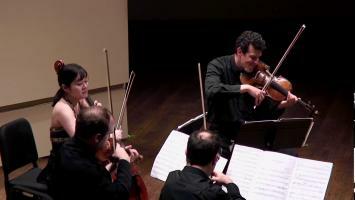 Sun Nov 11 23:02What a fun concert, playing Brahms Viola Quintet with Alicia Valoti! Thu Nov 01 20:32For our fans near East Lansing, MI, come hear us play at MSU with the wonderful clarinetist Tasha Warren ! Thu Sep 06 17:28Throwback Thursday: Euclid Quartet concert at Mostly Music Festival June 9, 2018. Thu Sep 06 15:25Hello friends! Check out our new live videos from our website! Thu Jul 19 17:37Check it out! Mon Jul 09 12:48If you listen to music on YouTube, our new album is there for you to enjoy! October 27, 2017Mostly Modern Festival in Saratoga SpringsWe are delighted to be performing and teaching at Mostly Modern Festival in Saratoga Springs, NY. This festival will run from the 4th to the 18th of June of 2018. We will be performing a brand new work written for the Euclid Quartet by Robert Paterson. In addition we will be performing the String Quartet No. 2 by David del Tredici, works by MMF student composers and selections from Wynton Marsalis ' "At The Octoroon Balls " as featured in our latest CD release "American Quartets." We are thrilled to be joining a wonderful roster of faculty artists, performers and teachers at this exciting new festival. Applications are now being accepted! 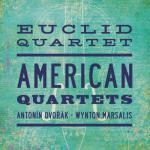 "The Euclid Quartet has a refined warm, rich tone, precise ensemble, and spot-on intonation. They play with great expression, and the subtle use of gestures [is] always included at the perfect moment and with impeccable good taste. "MusicWebInternational.comreview of their début CD, named "CD of the Month"
Indiana University South Bend, Louise E. Addicott and Yatish J.
Quartet No. 1 "Industrial Night Music"
The Euclid Quartet, live from Joshi Hall. The Euclid Quartet brings a vibrant sense of humor and electric energy to a broad range of educational activities for virtually any age group. These seasoned teaching artists have performed for thousands and thousands of students and young adults, in part through support from the National Endowment for the Arts and collaborations with Carnegie Hall's Weill Music Institute and the Fischoff National Chamber Music Association. Whatever the setting, the members enjoy working with presenters and communities to arrange in-school performances, masterclasses, or a host of other educational activities. "In 30 years of teaching, this is the best assembly I've ever seen!" "Their well thought-out, well planned, well executed performance was amazing!!! I still cannot get over how each level of student took away from that performance what related to them." The Quartet offers a broad range of educational activities covering students at all levels of age and experience: from “informances” for young students who haven't held an instrument yet, to detailed workshops about building and refining advanced techniques, and everywhere in between. Contact us for a complete list of activities. We’re excited to offer this unique experience for young string players! "Symphonies of String Instruments", commissioned by the Euclid Quartet from composer James Leatherbarrow, is a chance for student string orchestras to perform along-side the Quartet. This incredibly engaging and highly accessible work is written for string quartet plus a modular combination of one, two, or three different levels of student orchestra. Three inner movements are designed to feature each of the three different orchestras one at a time with the Quartet, while the outer movements bring all the forces together. JAMESON COOPER, originally from Sheffield, England, began playing the violin at age 6. At 13 he joined the National Youth Orchestra of Great Britain and later became concertmaster of the National Youth Chamber Orchestra. He studied at The Royal Northern College of Music, where he earned a Graduate of Music Degree with Honors and a Professional Performance Diploma. 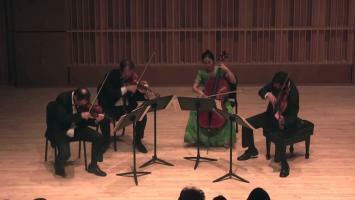 Mr. Cooper first came to the U.S. as a participant in the Aspen Music Festival. Since then, he has studied with Dorothy DeLay, Masao Kawasaki, and Roland and Almita Vamos. He earned Masters Degrees in Violin and Conducting from Kent State University, where he later served as Assistant Professor of Violin and Viola at the University's Hugh A. Glauser School of Music. Recipient of numerous prizes, he has performed as soloist with orchestra, recitalist, and chamber musician throughout the U.S. and Europe. 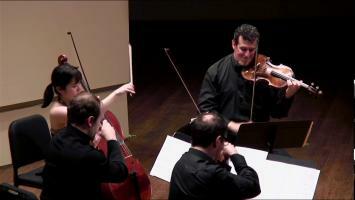 In the 2001-02 season, Jameson played in the Audubon Quartet in its Beethoven Quartet cycle series. In addition to his recordings with the Euclid Quartet, Mr. Cooper has recorded a disc of new music for violin, to be released this season. Jameson has given masterclasses at many colleges and universities, including Oberlin College Conservatory, Virginia Tech and Skidmore College, and is a former faculty member of the Lyceum Music School of Oldham, England and Morningside College. Violinist BRENDAN SHEA, is an award-winning chamber musician and soloist. He has performed throughout Europe, North America and Asia. As a chamber musician he has collaborated with many of the world's leading ensembles and musicians, including Colin Carr, Eighth Blackbird, among many others. 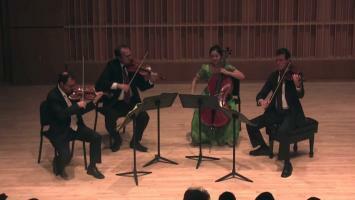 He is a founding member of the Wasmuth (now Verona) Quartet and the Shea-Kim duo. His notable awards include top prize at the Osaka International Chamber Music Competition and Fischoff National Chamber Music Competition, as well as first prize at the Coleman and Chesapeake International Chamber Music Competitions. As a teacher, Brendan serves on the faculty of the Mahanaim School in Huntington, New York, and the Oberlin Conservatory of Music as a visiting professor for the spring of 2017. In the fall of 2016, he became the second violinist of the Euclid Quartet and a member of the faculty of Indiana University South Bend, teaching violin. Violist LUIS ENRIQUE VARGAS, has been a member of the Euclid Quartet since 2001 and teaches viola and chamber music at IU South Bend. Born in Venezuela and brought up in a family of musicians, he was first introduced to the music world at age 14 when he became a member of the internationally renowned El Sistema of the Venezuelan Youth Orchestra. As a member of El Sistema, he was an active educator throughout Venezuela, and an active performer and chamber musician. He pursued studies at the Vicente Emilio Sojo and the Simon Bolivar Conservatories of Music in Venezuela. He moved to North America in 1997 where he pursued a Chamber Music Diploma at Wilfrid Laurier University in Ontario, Canada instructed by the Penderecki String Quartet. He resides in the United States since the fall of that year. While in the United States he got a Master’s Degree in Music Performance from Miami University of Ohio and a Performer’s Certificate from Northern Illinois University where he studied with Richard Young, violist of the Vermeer Quartet. Throughout his career, Vargas has studied with many internationally known musicians. Among them are Jose Manuel Roman, Gerard Causee, Li-Kuo Chang, James Dunham, Michael Tree, Earl Carlyss, and the Penderecki, Emerson string quartets. He is currently a member of the National Academy of the Recording Arts and Sciences (the Grammy® Awards organization), as well as an adjudicator for the Fischoff National Chamber Music Competition, and a member of the board of directors of the Hugo Kauder Society and advisor for their international music competition. He is, also, an adjudicator for the Music Teachers National Association Chamber Music Competition to be held at the MTNA National conference in Chicago, Ill. Other teaching positions have included the Sulzbach-Rosenberg International Music Festival in Germany and the Rocky Ridge Music Center in Colorado. 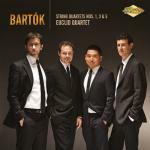 With the Euclid Quartet he was awarded the Bronze Medal at the Osaka International Chamber Music Competition in Japan in 2005, the Grand Prize at the Hugo Kauder International Music Competition at Yale University in 2004, and second place at the Chamber Music Yellow Spring Competition in Ohio in 2003. Performances with the Euclid Quartet include venues such as Izumi Hall In Osaka, Japan, Weill Recital Hall and Zankel Hall at Carnegie Hall, and Harris Hall at the Aspen Music Festival. He was a member of the Cuarteto America (1995-1999), and performed extensively throughout Venezuela and in Luxembourg, Germany, Colombia, Mexico, Canada and the United States. 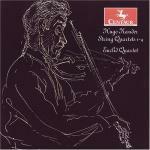 With the Cuarteto America he attended international music festivals, and attended the International Music Symposium "Strings of the Future" in Ottawa, Canada in 1997. With the orchestras of El Sistema, namely the Lara Symphony and the Simon Bolivar Orchestra, he performed in multiple tours to Brazil, Curaçao, Spain and France over a span of 9 years. With the Simon Bolivar Orchestra he recorded "Latino-American Lollipops" a compilation of Latino-American masterpieces under Dorian Label. JACQUELINE CHOI, applauded as “an emerging star” by The Boston Globe, is a pioneering cellist, chamber musician and teacher around the globe. Dr. Choi has appeared as soloist with numerous orchestras, including the Boston, Brockton and Allentown symphony orchestras, New England Philharmonic and Bucheon Philharmonic Orchestra, among others, while her recent solo performances have brought her to New York City’s Alice Tully Hall and Merkin Concert Hall, John F. Kennedy Center for the Performing Arts, Boston’s Symphony Hall and Jordan Hall, Musée du Louvre, Jerusalem Music Center, Mozarteum Brasileiro and Seoul Arts Center. In December 2016, she will appear in her New York City debut recital at Carnegie Hall’s Weill Recital Hall. A lover of chamber music, Dr. Choi appeared with the Chamber Music Society of Lincoln Center, toured internationally as a member of the Kumho Soloists and performed at numerous festivals, including Music@Menlo, Yellow Barn Festival, The Banff Centre, The Perlman Music Program and Schleswig-Holstein Musikfestival, collaborating with Itzhak Perlman, Krzysztof Penderecki, John Adams, John Harbison and Stephen Coxe. Dr. Choi was awarded first prize at numerous competitions, among them the Eisenberg-Fried Concerto Competition (2012) and the Edwin H. & Leigh W. Schadt String Competition (2010). Having completed her Bachelor’s degree at the New England Conservatory and Master’s degree at The Juilliard School, she earned her Doctor of Musical Arts degree in 2015 at the Manhattan School of Music in New York. She is currently serving on the faculty of Indiana University South Bend as Lecturer in Music and cellist of the Euclid Quartet, its Resident String Quartet.